Nintendo's critics have been saying that the Japanese company is on the rocks for years, and the term "Nintendoomed" is often lazily rolled out whenever the firm hits a bumpy patch in the road. The diminishing handheld market and the dismal Wii U era saw the phrase get used on several occasions, but since the success of the Switch we've not heard it uttered all that much - aside from people using it sarcastically on social media to poke fun at those who genuinely did think Nintendo was on its last legs not so long ago. There's certainly some merit in employing this term in a humorous way, and that's exactly what Bethesda has done with its marketing for the upcoming Switch port of DOOM. The Spanish promotional material for the game uses the phrase "NINTENDOOM", along with the explanation that it is a "popular internet saying." While it's not quite a full match for "Nintendoomed" it's close enough to make sense, and is a playful way of poking fun at the naysayers. Heh, clever. I like it. I still can't grasp, why would anyone buy DOOM almost two years later on a console, that does not help it gameplay or graphics-wise. While I am happy that it comes to Switch, I am worried that people won't buy it and third party devs will just say: "Well, we said so", while disregarding the problem that the game was poorly suited for Switch from the get-go. Playing Doom on the go is perfect! Please bring Fallout too! Gotta love the irony in DOOM being one of the things cited for Nintendo not being doomed. 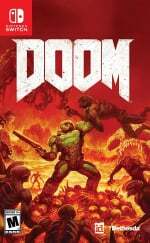 @Hrimfaksi It's only a year old, and some people may not have played or want to own a great game like DOOM on the Switch for its portable nature. I'm sort of in both of those camps having played it for a bit on PS4 but getting it for Switch. @Hrimfaksi There are á lot of switch owners who haven't played Doom yet. Plus, you can take it everywhere you want to, which you can't do with the other versions. For Bethesda, it's a huge unique selling point. @Hrimfaksi Also, I think Bethesda is beyond the "Wait and see" approach this point. If a game doesn't sell, I don't think they'll be blaming the switch. Doom, Wolfenstein, LA Noir, and Skyrim all this year - I'd say it's safe to assume they're fully on board with Switch. Honestly, I'm more excited for Doom than I ever was for Mario Odyssey Can't wait to finally play it! @Bruh @Saego But it does not profit from PORTABILITY. It does not have small easily-chewed game parts. It has big expansive levels that take quite a while to finish. It does not profit from joy-cons, from motion controls, from anything that is particular to Switch. I don't think it's gonna sell bad, but I wonder, if that is the best game to bring over. @Danpal65 1 year and 6 months, that is a very long time in modern terms. Rumoured for years, its finally here.... NINTENDOOM! @Slug_Geek_Ire Not sure if serious? You say there's plenty of legs left in the system, then refer to one of the worst games to come out for it? At this point, if you're struggling to find things to play on the Switch, you're likely just stretching for things to hate. @roadrunner343 La Noire is not Bethesda, it's Rockstar, another huge 3rd party. I'm hoping that does well so GTA 5 may come, although I reckon they'll bring that anyway. It's great for the fans of that genre, but personally I buy a Nintendo console for colourful, kid friendly, and Japanese style games. My son is getting a Nintendo Switch for Christmas, but when I get my own I'll be getting DOOM. @Hrimfaksi I can find hundreds of reasons for people wanting to buy DOOM on the Switch and the game was released last year not 2 years ago. @Hrimfaksi Firstly, Bethesda is a company and they would have an excellent idea of how many units they sold on other consoles and PC, so they would have an excellent idea of what potential this has to sell to people who haven't already played it... personally I would play it again given I can do so at any spare time wherever I am. Apart from the fact that it's exactly 1 and a half years (but for you we will say almost 2 years lol) - I understand what you are saying but what is with people like you always referencing the graphics - If someone says 'you can have a bit better graphics or play it portably', myself and many many many others are saying give us the the portability.... and for many people, the graphics difference isn't an issue at all. @Morlock5K Doh, sorry, stupidity kicked in =) Guess the point still stands with the other three games though. Seems like Bethesda is going to support the Switch whenever possible. Since I accidentally mentioned it, hopefully LA Noire does great too so Rockstar brings more games over. They do still seem like they are in the wait and see phase. @Hrimfaksi Everyone who would buy it on NS either has a crappy PC or a vendetta against KB/mouse in FPS. Twinsticks controller for FPS is just... Bleh. Portable or not, it's suboptimal. (Although Wiimote with MotionPlus was probably the best standardized console controller setup for FPS, too bad DOOM on NS won't use the JoyCons in that way...) Not to mention DOOM will most likely be on sale during the holidays on Steam, etc, but full price on NS. Time will tell with the sales, but I wouldn't expect much. great play on words. Now that is good marketing! It’s Doom without being stuck on the couch, or at a desk! Now you can play it at Starbucks, buy espresso, and get super caffeinated before grinding up demons with a chainsaw! What’s not to love about that?? @PlywoodStick I think there are some games where it really doesn't matter though. I love keyboard/mouse (Most of my gaming is done on PC) but there are some single player shooters that I don't mind playing with a controller. I know it's far from optimal, but sometimes it's nice to sit back and relax and play on the TV (Have a media center PC there) instead of on my office Desktop. I could see the same applying here. @roadrunner343 Fair enough, enjoyment is the most important factor in gaming, after all. Everything else comes second. Still remains to be seen how many people are willing to pay full price when it's probably going to be half off elsewhere, though. Now to argue your point rather than mine... I've not played Doom yet, but if I do, it will almost definitely be on my PC after one of the massive Steam sales... So like you said, the portability and sub-optimal control scheme is not worth the cost for me. Let's see how well it sells. £50 is a disgrace for a year old inferior port when it can be bought elsewhere for less than half the price and no compromises. @FTL Just because they are a company, does not mean they have any idea, how well it will sell. If companies knew that, SEGA would still be producing consoles, THQ would still exist, EA wouldn't have closed a ton of different companies and Wii U would never see the light. Companies do not know, how many anything will be sold, they have projections, and they are quite often, do not equal reality, sometimes things sell more (see NES mini), sometimes things sell less (see all the aforementioned failures). That's why I am afraid that other companies (and not Bethesda) will use DOOM as some indicator, which it should not be. People like me? I played DOOM on 6 year-old PC and found that it is brilliantly optimised. So, running on Switch is great and all, but it looking even worse, than on my middle-of-the road old PC, that's just not good marketing. Also, as other people pointed out: the price is a big deal-breaker. DOOM was 50% off a month after it's release on PC. It can be bought for a fraction of switch price, while having better gameplay (see mouse) and better graphics. I am not saying "nintendoomed", I am just saying DOOM is a bad game to present on Switch. Graphics aren't that big of a deal as long as they don't come down to a point it hurts how the game functions especially when you're going on about a portable system. This allows you to the hottest mid 2016 FPS game from the name in FPS ('doom clone' been thrown around over 20 years now) wherever you want that isn't a PC or TV screen. They put good work into it and felt there would be a benefit, same with the work done into Skyrim. I think the marketing was wise trolling the crap out of the Nintendoomed pigeons. I am in the mood for doom. @Hrimfaksi I'll buy it (although I do tend to buy a lot of games). My situation is that I'm a Nintendo gamer and have no interest in buying a PS4. This is a new game for me. @Hrimfaksi this makes sense...but I think sleep mode and suspending your game will help with that. Also, the whole premise with Switch is to take console quality games anywhere, not just handheld quality games. I would like to see games of both nature on the Switch! I'm buying doom. I really can't wait. I had it on the xbox one but sold it because my console kept ejecting discs which forced me to go digital. There will always be people that will say negative things for ports like this one. For me personally I did not play Doom. I have a PC but I play games like Diablo III, Grim Dawn, Strategy games etc. I will get Doom and Skyrim on the Switch and it will be amazing! Switch gives that portability that is impossible for PS4 and XboxOne. That is why all I need is my Switch and my PC. Day one purchase for me. Taking Doom everywhere I go sounds so very cool. Seems like a few Wii U owners here are having difficulty grasping that concept. @PlywoodStick sorry but this is not true. I will buy Doom on the Switch. Why? It looks/sounds like a good game that's very single player focused (I would not be that interested in an online shooter). Do I have a crappy PC? No. I have a high end machine. I simply don't play games on PC (I spent 80+ hours a week working as software engineer with 4 monitors in front of me and don't particularly want to jump in front of a PC when I get home). For me being able to play games portably (whether on the train or in bed or whatever) is a huge deal. I will get big screen TV time once a week and being able to pickup where I left off on the train is fantastic. I'm beginning to see Switch on the London underground quite often. I don't think I'm alone in being a very busy 30-something loving the hybrid console. I've amazon prime preordered this and skyrim from them, and will likely do wolfenstein as well since I think these games are more meant for controller play anyway as they're all initially designed as console titles. Nov 10-21 is going to be busy — doom, skyrim, axiom verge and rime I have all set to come. I rarely preorder but I did on this lot - got to love gift cards. @rjejr Now see I never thought of that... Nice! So tempted to preorder but its expensive in the run up to Christmas having to buy presents for other people. Maybe can get it as a Christmas present. May also get it for PC on a future Steam sale (although with a 2011 system I think it kay struggle). Also the chance to play it anywhere sounds like loads of fun. @roadrunner343 He's parodying a certain someone....rather effectively. @Hrimfaksi Your concerns are legit. Third parties have done Nintendo dirty like that in the past. I'm pumped, though, 'cause I never got a chance to play it. I don't have an XBOX One or a PS4, or a gaming PC, so there have been a few great games I missed out on. I'm not one of those Switch owners that unrealistically wants every multiplatform game to be ported to Switch either, but I am excited when games are announced. So there is a market there, and a chance worth taking, but I guess we'll have to see how much of a market there actually is. I'll be buying it, either way. Glad to see Doom back on a Nintendo platform. I first played Doom on my best friend's uncle's PC back in the early-to-mid 90s. Good times. @Sidon_ZoraPrince It's almost indistinguishable in fact. @Hrimfaksi because not everyone has played DOOM yet or only owns Nintendo systems? Obviously this game (and all other ports too) isn’t aimed at people that have played it already. @SLIGEACH_EIRE and why do you all seem to forget that not everyone own several different consoles? Perhaps it can be better and cheaper on other consoles, but since I don’t own any other console, that reason is irrelevant. This game (actually, any game) shouldn’t be judged by how it is on other devices. It’s how it is on this particular device what really counts. Still love a bit of Dishonored on Switch. @Hrimfaksi It's the same reason people will buy Skyrim and have already bought a lot of the other ports on the system: they get to play it on the go. I bought Doom on the PC but I'd really rather have it on the Switch so I can play it in handheld mode, and also on the couch. Also I can see this working for families where maybe a parent wants to give his kids a console but also get a more adult themed game for themselves without having to buy a relatively expensive gaming computer or a second console. @Equinox Good given their reputation and value on the whole with the gaming and computer communities I'd take them over those old school opportunist double talking trolls for support anyway. Look at Bethesda's offerings from the gate, then the looks of what EA and Capcom are doing to start — horrible. Hah I like it, is so fitting! Coming in 2018 is Nintenwolfenstein! Er... I'll get my coat. @MartyFlanMJFan I think you're just too nice of a guy. Me, I bought my kids a Switch for Christmas, gave it to them Oct 27th, been playing Mario ever since. I have no shame. Well I have a little shame, I'm making sure they are both a world a head of me, playing it more than I am, it is there gift after all. NintenDOOM! Now why is that not a game yet? @Hrimfaksi When it came out, I lacked any means to play it, and it fell off my radar. Now, given a choice between my gaming PC and Switch, I'd buy it on the Switch no question. Portability outweighs graphics any day in my book. guy can suggest I eat a bag of *****, alongside an image of said bag, and not get banned, but I'm out for telling him he's wrong, ignorant, stupid or most likely all three. I can’t wait for NintenDOOM! I got paid today and will be paying off this, la noire, and skyrim, might get sonic forces for fun too. Next week into the week after is going to be nuts. I agree and I would honestly double dip and get this on Switch, as I already have it on PS4, but for full price, I'll have to pass. Heck, I haven't even ever owned or played Skyrim and they are asking full price for that on Switch as well, whereas I could get a definitive edition of it on PS4 for $20 less. I really REALLY want to support 3rd party and Mature games on a Nintendo console, but for these asking prices, I just can't. @MartyFlanMJFan I didn't even know it was possible to get banned from Twitter, but now that you mention it there has been a lack of MJ tweets in my feed since a ton on Saturday when everybody was talking about the Halloween special. You got banned defending yourself from MJ slanderers didn't you? It's always the 2nd guy who gets it. @Hrimfaksi Cuz some of us don't have a console or PC that can play this besides the Switch? I mean I have a SNES but I'd rather not play that version. @Hrimfaksi The main point I feel I want to mention, is that I’m glad they are doing what others aren’t bothering to. However on the other notes - They have specifically said that they have spent a huge amount of time optimising specifically for the Switch because (to the dissapointment of the devs themselves by their own admission, people care too much about the performance and graphics). It wasn’t specifically optimised to run extremely well on low spec Pc’s it was just a generally well optimised engine which was very scaleable - they didn’t have to be too concerned on PC, but the engine is good. Additional work for Switch means it’s not a direct 1 to 1 comparison with say a ‘6 year old PC’ for example. Not to mention many will likely play on the 720p portable screen which is obviously smaller where reduced graphical fidelity is less noticeable - infact a tester who put together a test PC of similar specs to the Switch on youtube compared it to the beta of Doom on switch, and stated in his opinion at least that it was already better on Switch at that point than a similar spec PC. In regards to the companies that have failed - I agree many companys don’t know what they are doing, but in this specific case which is what I was referring to, even my anecdotal experience that everyone I know wants it, is good enough for me, and if it isn’t, then ‘oh well’ and I’m glad they made the effort - On a side note, in regards to some company like Sega, as the most expansive example there that you mentioned, they projected the Dreamcast would sell but it was infact many factors including upcoming DVD compatibility from PS2 competition, some questionable marketing, and previous failures, among other factors that brought about its demise - this single game release is a bit simpler here than that. A lot of people don't seem to get it. Doom is not CoD. Doom is a very Arcade-style FPS. It's fast and fun, and great to pick up and play for a little while. Of course there are slower missions to pace the experience. I own Doom on PS4, I play online multiplayer. I will get it on Switch. It is expensive for an older game, but It seems they really did their job porting it. It is a pretty big game on PS4. 60 gb at least. @Hrimfaksi you can play it on go anywhere, anytime. What part of that don't you understand? @rjejr I think it's perfect, sounds like a great plan all round and everybody's happy, how often can you say that? @shakim1972 Don't like it don't buy it. As I can see all your other comments are against Nintendo and their products. Go play your PS4 and be happy. I can tell that sites like NINTENDO LIFE are NOT for you. @MartyFlanMJFan If we were on Twitter I could Like that comment. @Hrimfaksi The big feature of Switch, though, is the instant suspend. 3DS had it (and it was brilliant there too). Vita had it (and it was brilliant there too.) But those consoles did not have the "big" games with "expansive levels" to use it with. That's the unsung hero in the appeal of the hybrid. You don't need "handheld sized" games to take advantage of portability. Because you can puase/suspend anywhere at any time, even expansive levels can be taken in bite-sized pieces. 3DS occasionally was able to take advantage of that with the larger RPGs, but it's the first time we can put that ability to use for larger scope games overall. I.E. We don't need broken down levels. Every level can be broken down to whatever size we have time for. @mateq L.A. Noire is Rockstar, not Bethesda. Not that it's a bad thing to have two big western publishers on board Bethesda has it's whole catalogue short of Dishonored and Fallout (for now...we know Fallout Remastered has to be a thing for all platforms including Switch if these 3 games do well, probably next year, though.) on the way though, so that's truly on board. @Hrimfaksi I have it on PC and will be getting it for the switch. I've had a chance to check it out and it is a technical marvel in handheld mode. @shakim1972 why such blind hate towards one of the most respected gaming company? Did Nintendo steal your house or wife or something? This is not EA to hate it so passionately. I need this and wolfenstein 2. Hopefully they'll release the 1st wolfenstein on the eshop. @JamesR Sounds like a fair reason to choose the portable version to me! Although, while I was being a bit overly dramatic using a term like "vendetta", you do fall into the group that has a negative view on the PC version for one reason or another- which working a job involving PC's all day, resulting in a feeling of malaise towards gaming using PC's, would count towards. And I get it, my incentive to use a PC for gaming dropped after working at a job for several years involving installing, fixing, and stocking PC's for most of the day. (Although I didn't necessarily have a negative view as a result.) It's also worth noting that high end workstations are not the best for gaming, while high end gaming machines are not the best for workstations. On another note, I'm glad the UK is using the NS in public more often, cause I'm sure not seeing it in the USA. @Hrimfaksi - It's PORTABLE Doom that you can play anywhere. There. I just destroyed your argument. @PlywoodStick I think the combination of PC and Switch is hard to beat. Personally I can't take advantage of the PC due to work and kids etc... Those who can will clearly get more out of Doom on a PC. It was a struggle to play the Wii U but I went out of my way in order to experience great Nintendo games. And that was enough for me. However the Switch is something else - the portability has allowed me to find 100s of hours for gaming and I'm playing games I would never have bought on Wii U (such as Skyrim, Doom, Fifa). So would the Switch be worth it if I didn't use it handheld? I would say "yes" in the same way that I would say "yes" to the Wii U - but without handheld it becomes the Wii U 2.0. Now if only you could dock your Switch into a high end PC to allow continual game play. @Saego My argument would be: Would they want to? Perhaps the Switch version would just be too compromised for people to still enjoy it the same way. Portability is great, but it's not the world. You know what would REALLY make this a must buy? Add a Samus mode that lets you play through with Samus. Arm canon, unique weapons, all the good stuff. it would REALLY help hold people over for Metroid Prime 4 I think. Heck, i'd even consider getting the game again. And a switch to go with it. On an Italian Facebook group, "Nintendari Incalliti" ("Inveterate Nintendaholics"), a post went on to state this is Nintendo's way to troll everyone who ever said they were "doomed" across the past few generations. I say that poster is right. They could get just about any M-rated franchise on Switch, and they went with DOOM just for the pun. I like to think things went down this way, just to p#ss the naysayers off. I love FPS games. 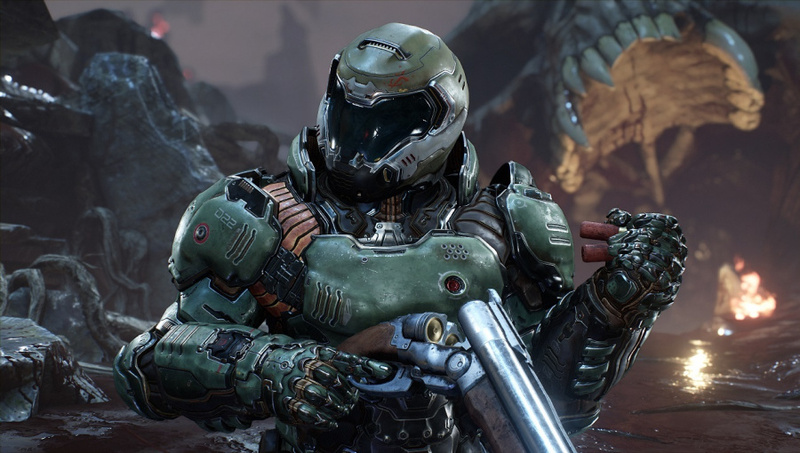 I've never played a Doom game, but I have played Quake III Arena & Unreal Tournament on Dreamcast and I really liked CoD on Wii & Wii U.
I don't have a gaming PC, but even if I did, I'm not a PC gamer, so having something like Doom on Switch is awesome. All the usual forum suspects regurgitating the same old vitriol about why would you buy this or that for the switch. It's not 60fps, its one or two years old, it's a port, it's on steam and blah blah blah. Sigh... Anyway, day one purchase for me as I have a long commute and regularly play my switch on the train into london, plus it's a hit in the office with the lads. Nintendo has been on its last legs since the Hedgehog with attitude arrived. Glad to see Doom back. Doom 64 is an all time classic. @PlywoodStick I have a PC powerful enough to max out every settings on Doom and yet I have absolutely no interest in the game on PC. I'll buy in on NS, though, cause I want more games for my Switch and I earn enough not to give a damn about the price difference. @Hrimfaksi I just want you to know I’m buying Doom on Switch because I want to. Your own personal reasoning doesn’t apply to me. @Masurao Sounds like portability is the deciding factor for you! Of course, PC gaming isn't just about tweaking presentation settings, but also attaining higher frame rates and more consistent frame times than is possible on consoles. Not to mention, once the holidays roll around, the price difference will be $30 or potentially more, which could be spent instead towards one or more other games. That's a pretty significant thing to forego by itself when you already have a good rig, even if you are in the black. @Hrimfaksi dude “it” (Bethesda I assume) will profit from all of that if everyone buys it. Just think, millions of Switch owners walking around u, playing Doom. I know it’s hard to fathom. @Hrimfaksi portable, didn’t buy it at launch, don’t own multiple systems. There are many reasons to pick up a game. Mine are: portable and I am playing other stuff on the PC and never got to playing my PC purchase. @Hrimfaksi Re-releases of strong titles always stand a chance. For newcomers it's a reminder that the game exists and is still relevant (which I think DOOM is), and for returning players the re-release often contains something fresh. In the case of Nintendoom we now have the first handheld release of the game. I don't have a clue if it will pay off, but I think there is enough reason to give it a try. @Hrimfaksi DOOM fans will buy it thats who. Local link multi-player will be amazing on the Switch. @Hrimfaksi it's not about "small-chewed game parts" [alone] - you're approaching the concept with mobile gaming mentality, not portable gaming one. The whole profitability point of big games in portable form is that the demographics of video games as a hobby confidently sit in the age groups where people have disposable income to burn on their interests and passions - yet not many of said people have TIME to spend 30/60/200 hours in front of a TV while also having a life and earning said disposable income. Portability is what allows people to comfortably access and enjoy games as extensive interactive fiction past their school or college - and to hope to finish more than two or three such games within a console's lifespan. Or past the console's lifespan if these people became gamers past a game's "prime" - things like last-gen ports, remakes and retrogaming exist because the potential audience isn't limited to the current generation of gamers, and thankfully not everyone applies sillly expiry terms to something like Fiction. Complex save/suspend/checkpoint systems have long solved the problem of bite-sized play in video games on the go, and reduced boot/loading times (as well as relatively battery-friendly sleep mode) have aided the causes further. So while portability isn't limited to situations like public transport, you can benefit from them quite a bit as well - especially in certain game aspects (grinding, side quests, leisurely exploration of every nook and cranny, mini games for fun and/or that one trophy... you name it). @UmniKnight If a game is really good, most people like to play it again. The thing is with Doom, it's just a brainless shooter. The game doesn't really give a thing about the story, or the deepest gameplay you will ever encounter in a shooter. No, it's just brainless shooting. You play it, because you want to shoot (with an amazing soundtrack by the way). And in my opinion, you can play brainless shooters without any limits. So to take it anywhere, is a HUGE selling point. do we know the size for the eshop version? @Saego I see your point, but isn't the visceral graphics a piece of that? Wouldn't lessening that impact the experience? So many naysayers of Doom. For me, the Switch one makes the most sense to double-dip with or even as a single purchase. PS4 and XB1 make no sense to double dip. You get worse graphics and controls and you're still tethered to the TV. Switch at least you can take with you easily and play anywhere. Even forgetting about double-dipping, if I could only have one copy, Switch portability would sell it more for me than PS4/XB1. PC is the best way to play Doom (or any FPS, IMO, as controllers are much inferior to k/m), but I'll double dip on Doom for Switch for the portability. Switch makes the most sense for any ports as it's literally want we all wanted since the Game Boy first came out, but never quite got until now - console gaming on the go. @UmniKnight Depends per person I guess. @Saego True, true. We'll see if DOOM holds up on it's own. @PlywoodStick Of course buying things cheaper is always nice, but my point is more like, I have a corei7 PC with GeForce GTX 960M and 16 GB RAM. It's hella powerful and I still do not play games on it, because the instant on/off nature of the Switch is just way more convenient for me. It is not really about the portability.